Force sensors (also called force transducers) measure different forces acting on an object. These include bending and axial forces (tensile and compressive forces). In industrial applications, for example in mining and tunneling, axial loading forces (tensile and compressive forces) can act on a carrier or a shaft. Based on the magnetic Active Torque principles, our sensor technology can measure these forces precisely and without contact. The force sensor works with any ferromagnetic test object (for example: solid shaft, hollow tube). 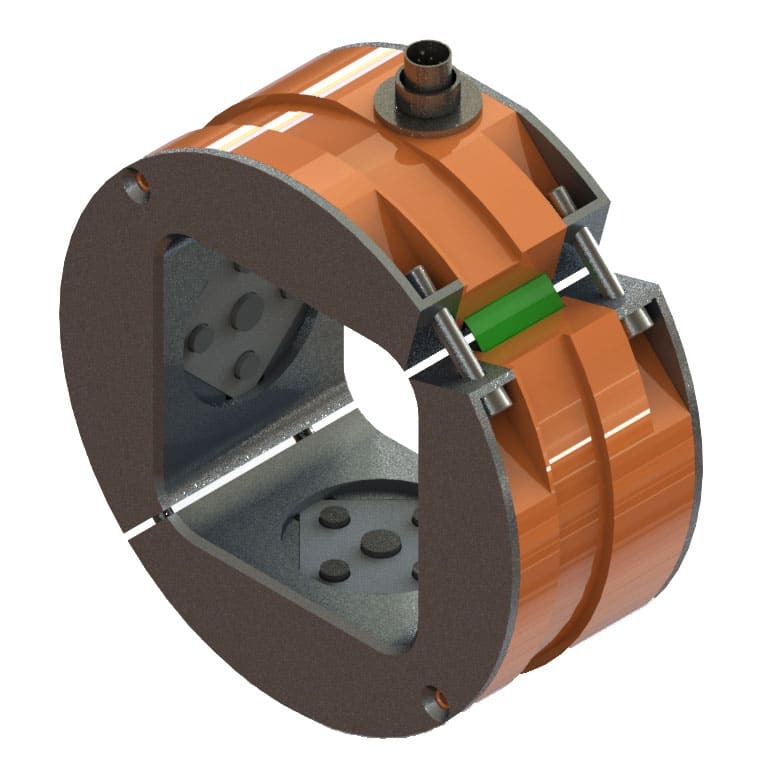 The sensor module is mounted on the ferromagnetic test object where measurements (e.g., axial force) are to be made. Inside, the sensor module emits an alternating magnetic field, which penetrates the surface of the test object. The mechanical forces acting on the test object influence the alternating magnetic field and its properties. These changes are detected by the sensor element and passed on for processing in the sensor electronics. Then it shows how much force acts on the object. We offer your company the optimal solution for your application. Load detection in joints and shafts in truck and automotive applications. By mounting the sensor on the axle, the axle load of a truck can be measured and transmitted to a controller. Integration into steering systems also allows steering forces and lateral influences on steering systems to be measured. Force measurement for heavy duty applications suits perfectly to the sensor principle. By properly designing the sensor in the application, highly accurate measurements for trucks or other heavy goods can be developed. 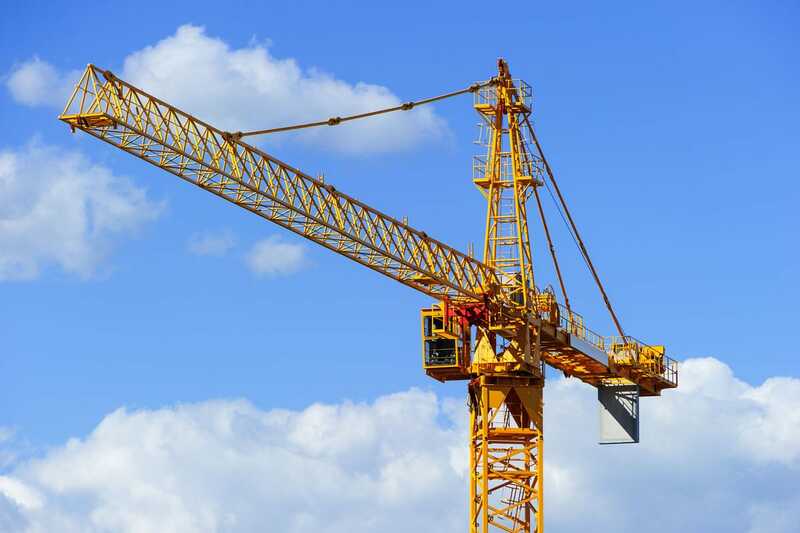 By integrating the sensor with rope winches, supporting cylinders or other points that absorb the forces generated by cranes, it is possible to make precise measurements of the statics and load design. The information can be used to trigger safety shutdowns to protect the user from accidents. In hydraulic cylinders, the forces that are generated can be measured by the force sensor and, e.g. used to implement a force control in the hydraulic system. Thanks to its high internal signal bandwidth of up to 1,000 measurements per second, the Active Force Sensor is ideal for dynamic applications. Our force sensor can be used without problems in cold temperatures down to -40 C °.